The ultrasound is waves beyond the audible range of 20,000Hz with lower infiltration of the human body compared to X-rays but no risk of radiation. It has been used to examine the fetus or diagnosis of the liver and heart functions. Recently, ultrasonography is used in identifying and treating vascular diseases. Doppler diagnosis works as a stethoscope for a phlebologist. 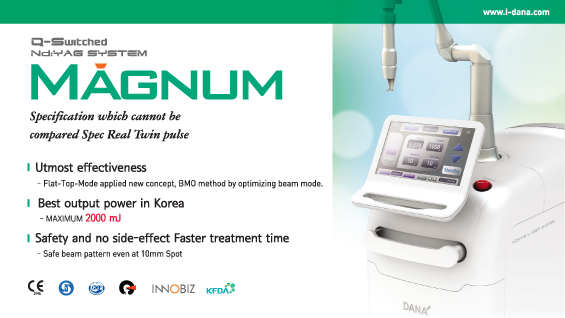 The more costly ultrasound diagnosis is preferred to Doppler in Korea. This is due to little knowledge of the difference between CWD (Continuous Wave Doppler) and PWD (Pulsed Wave Doppler). I use Portable Minidop 8 (Sonotech, Germany) a unidirectional CWD. This device more sensitivity than PWD in an ultrasound and mainly used in small vein diagnosis. CWD’s better sensitivity is due to separation of ultrasound generator and receiver which produces clear sound. In PWD, the ultrasound generator and receiver are contained in a small unit within the probe. CWD creates high pitch sound for rapid blood flow and loud sound for larger blood volume. There are two types of Doppler; unidirectional Doppler and bidirectional Doppler. Unidirectional Doppler only detects blood flow velocity with a probe, whereas bidirectional Doppler detects both incoming and outgoing blood flow with a transducer. It is often used for analyzing the pulse shape of the artery and rarely for diagnosis of venus reflux. Sufficient amount of gel is needed between the Doppler probe and the skin to maintain good signal. The probe should not be pressed onto the skin but gently placed upon it. Also, clearest sound can be achieved by placing the probe at 45° from the vascular course. In normal veins, especially in SFJ of common femoral veins sound of blood flow can be heard but Doppler does not respond to slow flow and is unlikely to produce sound for normal veins. Therefore, the examiner has to apply distal compression on the calf of a standing patient to hear the sound of the upward flow (augmented sound). With normal valves, the produced sounds are short like dog barks but with valve insufficiency, the sound is long indicating reflux (retrograde flow sound). In this case, the windstorm sound is heard even with valsalva maneuver. In normal patients, a mild reflux sound of 1-5 seconds can be heard at SFJ. Therefore, it is important to screen for reflux by following the course of GSV downward. Telangiectasia can have various manifestations. It can arise from reflux of cardinal veins or reticular veins. When reticular veins are joined with capillaries, they are called feeder veins. Thin veins also have valves and as in large veins, reflux in smaller veins can worsen varicose veins. Reflux in small veins is not easily detected with duplex ultrasound. Recently, CWD is most widely used to diagnose reflux in small vessels. When small vein reflux is detected, treatment is needed to prevent recurrence. Treating telangiectasia with vein sclerotherapy is effective and prevents recurrence, however, a few cases do recur after some time. Reexamination of the blood flow in the recurring veins is needed to remove the cause of reflux.